One of the most highly anticipated personnel moves by Mayor Catherine Pugh finally reached a conclusion as Pugh announced the hiring of current Fort Worth, Tx. 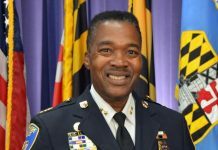 police chief Joel Fitzgerald to be Baltimore’s new top cop. In a written statement released Nov. 19, Pugh called the decision a step forward for a city beset by violent crime and a scandal plagued Baltimore Police Department (BPD). “On more than one occasion during our extensive discussions, Commissioner-designate Fitzgerald has made clear his belief that the power to police others and enforce law emanates from those we serve; the members of our community,” Pugh stated. 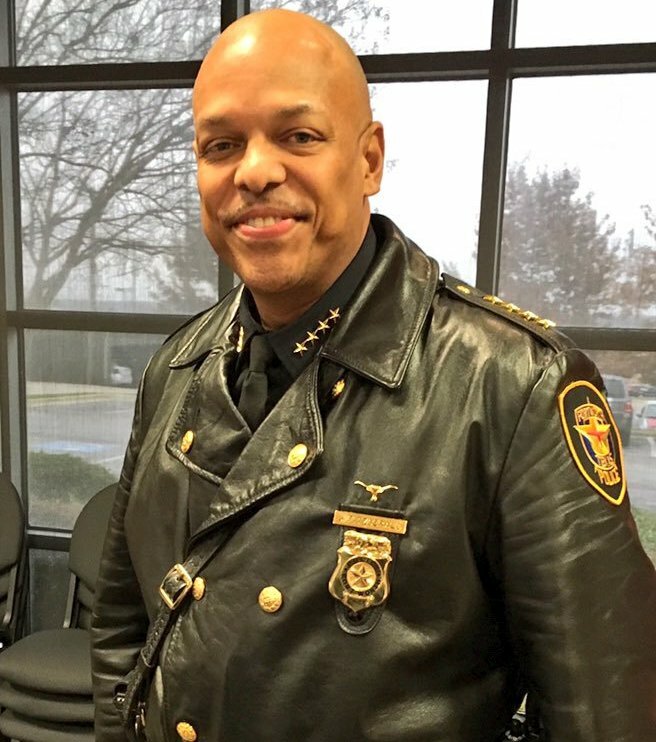 Fitzgerald served as police chief for the city of Ft. Worth, Texas, the 12th largest city in the country since 2015. There he managed a department of 1700 officers with a budget of $300 million. Baltimore, by comparison is the 27th largest city in country but has a police force with roughly 2500 officers and a budget of $500 million. Meanwhile, Ft. Worth had 70 homicides in 2017, roughly one-fifth of Baltimore’s record 2017 total of 343. As of Nov. 20, Baltimore had recorded 276 murders, a slight drop from 2017 but still outpacing many other big cities. The outsized challenges facing a new commissioner prompted Baltimore City Council President Bernard “Jack” Young to plan a trip to Ft. Worth with several members of the council to vet Pugh’s pick. “On December 9, I will lead a delegation of elected officials from the City Council to Fort Worth, TX.” Young wrote, noting he will be accompanied by Councilwoman Sharon Green Middleton, Councilman Robert Stokes, and Councilman Brandon Scott, who is chair of the Public Safety Committee. The statement said the delegation will speak to community leaders and residents in Ft. Worth about Fitzgerald’s performance. If approved by the Council, Fitzgerald would the fifth commissioner in four years. 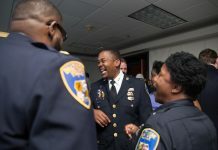 He would inherit an agency under a federal consent decree with the Department of Justice and still reeling from the fallout over the Gun Trace Task Force scandal, a group of eight officers who robbed residents, dealt drugs, and stole overtime. He would also face the prodigious challenge of mending what seems like an irreparably broken relationship between the BPD and the community. Prior to heading to the Ft. Worth police department, Fitzgerald was the chief of Allentown, Pa. He also served in a variety of positions in the Philadelphia police department. Fitzgerald is a graduate of Villanova University. He attended Eastern University, where he earned his Master of Business Administration (M.B.A.) degree, and later earned a Doctor of Philosophy (Ph.D.) in Business Administration. Reaction to his appointment has been guarded. Former State Senator Clarence Mitchell IV, host of “The C4 Show” on WBAL Radio, told the AFRO he hopes the new commissioner could change expectations in a city accustomed to high crime rates. “I’m hoping whoever the mayor selects is not going to be looking to go from 380 homicides to 318,” Mitchell said. Pugh is expected to officially submit the nomination to the council in December. The confirmation process will begin in January.